The aim of the Atlantis Press book series 'Atlantis Advances in Quaternary Science' is to bring together texts in the broad field of Quaternary science that highlight recent research advances on aspects of glaciation and sea level change, the development and application of Quaternary geochronological methods, records of climate change from marine and terrestrial settings, geomorphology, landscape evolution and regionally-focused reviews of Quaternary environmental change. The series comprises monographs and edited volumes that require extensive illustration and substantial space, and which provide state-of-the-art thematic and regional reviews on Quaternary-related topics often focusing on processes and associated responses within the fields of geology, geomorphology, glaciology, geochronology and palaeo-biology. In the last two decades technological developments in dating methods, remote sensing and techniques for the analysis and interpretation of sedimentary and climatic archives have resulted in significant advances of climate and ocean change across a range of time-scales from annual to millennial. 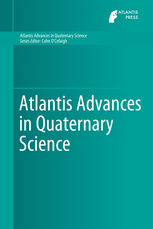 Publications in the Atlantis Press book series 'Atlantis Advances in Quaternary Science' capture these developments and show how they have increased understanding of Pleistocene to Holocene climate, cryosphere and ocean change across a range of spatial and temporal scales.